1. Write each of the following acronyms in full as used in computing. 2. A school keeps student records in a database. The data is coded before entry. 3. State three reasons why the coding is necessary. 4. Differentiate between Bcc and cc in an email. 5 . State three risks posed by improper cabling in a computer laboratory. 6. List two career opportunities directly associated with computer networking. 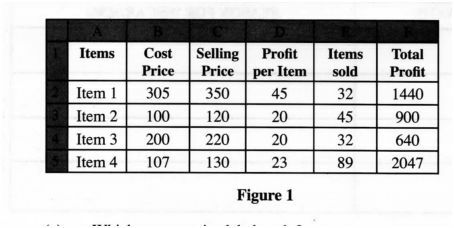 A retailer uses a spreadsheet program to calculate proﬁts. Figure 1 shows the spreadsheet. (a) Which row contains labels only? (1 mark) 7. State three reasons why an organisation may opt to develop its own software in-house rather than buy off-the-shelf software. 8 The topology below is formed by combining two types of topologies. 9 An organisation intends to replace an existing system by carrying out the process in stages. (c) output where the user is visually impaired. Answer question 16 and any other THREE questions from this section in the spaces provided. 16. 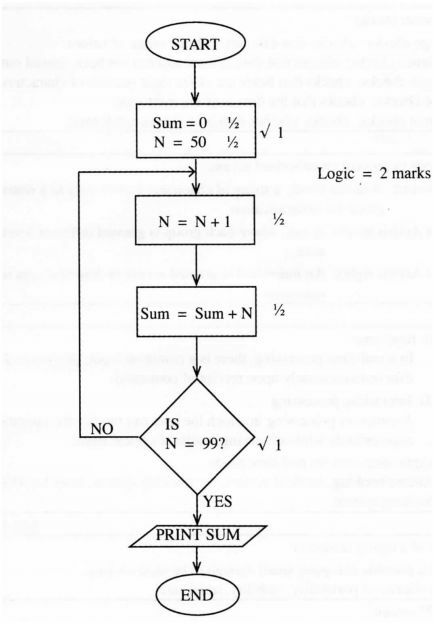 (a) Figure 3 shows a ﬂowchart. Use it to answer the questions that follow. (b) A company has opted to store its employees’ personal details in a computer system. II. interactive. (2 marks) (ii) State an application area where real-time data processing mode is applied. (1 mark) 18 Figure 4 shows an advert placed in a newspaper. Use it to answer the questions that follow. (b) State one advantage of having each of the following provided with a laptop. (ii) creating documents ......................... ..
(ii) State two beneﬁts of having the advert uploaded on the internet. (2 marks) A worker is unable to travel to the ofﬁce but may still be able to do the ofﬁce work through telecommuting. 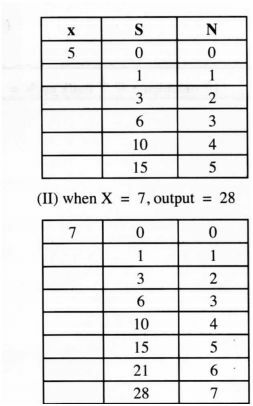 (c) Perform the following binary operations. 1. 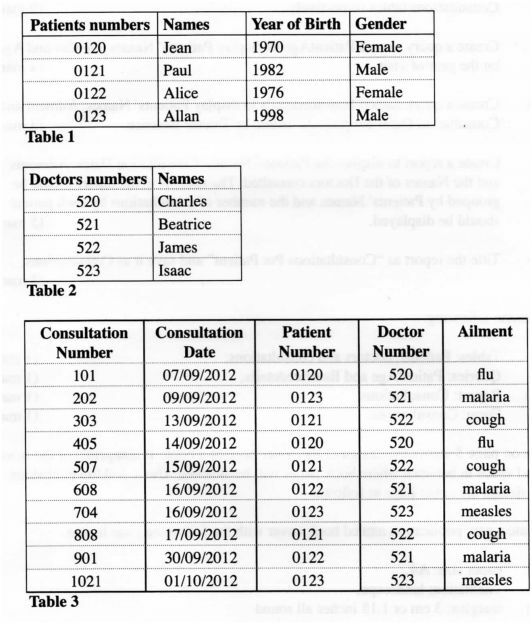 Table 1, table 2 and table 3 are extracts of records kept in a health centre for patients, doctors and consultations respectively. 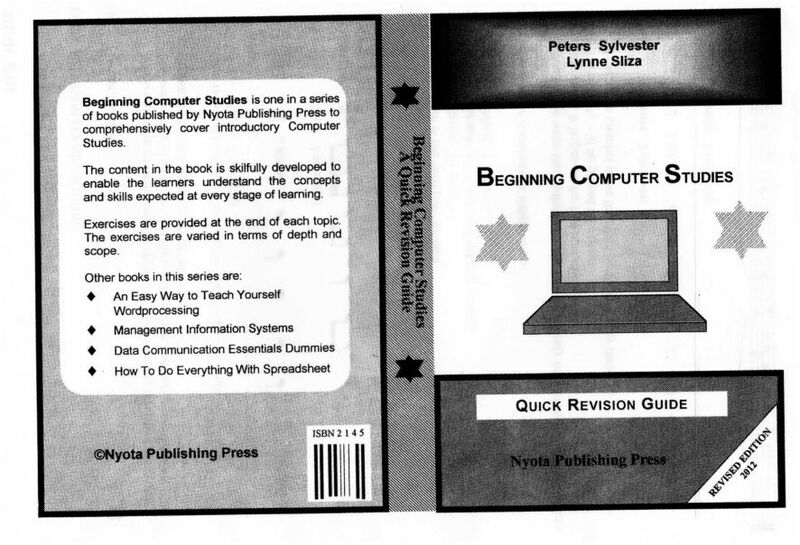 a) Create a new publication named book cover with the following page layout. (iii) margins: 3 cm or 1.18 inches all round. c) Save and print the publication. 1. (a) CAD - Computer aided design. (b) DVD - Digital video disk digital versatile disk. (c) WORM - Write once read many. (d) POS - Point of sale/point of sale terminal. 2. - Indexing becomes easier. 3. In cc, all the recipients of the mail are able to see other recipients of the same mail. 4. - Risk of electric shocks to the users. Risk of ﬁre outbreaks in the laboratory. Risk of tripping and injuries. 5. List two career opportunities associated with computer networking. 7. - Customised to suit business needs of the organisation. It can be upgraded as needed by the organisation. The organisation can have a module that the competitors don‘t have. The organisation develops only the modules needed/memory eptimization. or storage/space. 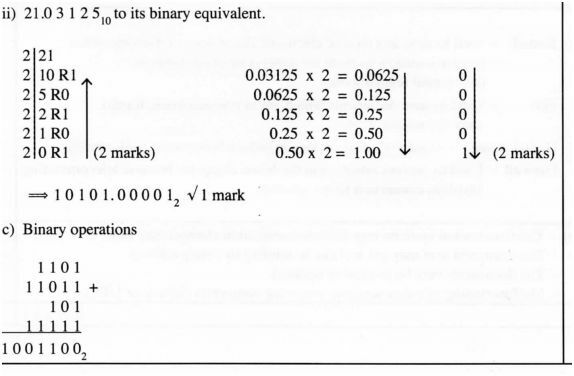 (1 mark) (b) Reasons for partial approach. Organization can revert to old system in case of failure. l0. (a) Importance of disk partitioning. Disk partitioning enhances logical management of ﬁles since ﬁles can be grouped into partitions based on their roles. Enhances disk maintenance since partitions can be formatted, deleted or modiﬁed individually without affecting ﬁles stored in other partitions. Partitioning helps in virus management. This is done by keeping system ﬁles in one partition with limited access rights. Viruses would therefore lack access to the system ﬁles. A pull-down menu is a list of commands that appears as a list from the menu bar going down which is invoked by the click or alt key whereas a pop-up menu is a list that appears anywhere on the screen when there is a click. 12. Explanation of DTP preference over word processor in designing a publication. DTP is designed with facilities to support and manipulate graphics that are not found in traditional wordprocessors. eg. the facilities are such as page layout, colour libraries and object layering. 13. Possible causes of Hard disk blinking. Updating of some software applications. 14. 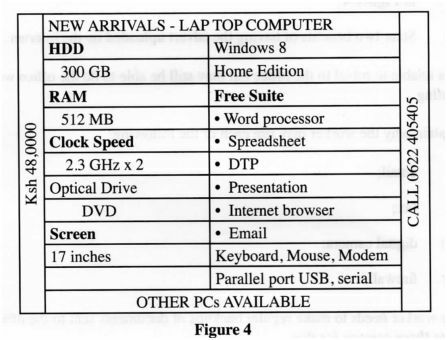 Compatibility factors on computer choice. Compatibility with available software. Being able to have the available software installed. Having the available peripherals in the market being able to be connected. (i) Carbon copies - impact printers e.g.dot matrix. (iii) Visual impairment - speakers brailles. Range checks: checks that data lies within a range of values. Presence checks: checks that data is there and has not been missed out. Length checks: checks that ﬁelds are of the right number of characters. Type checks: checks that the data is of the right type. Format checks: checks whether data is in the correct format. Password: A secret word; a string of characters known only to a restricted group for authentication. A computer processing in which the user can modify the operation appropriately while observing results at critical steps. Airline booking. medical system, car tracking system, hotel booking system, banking system. 12 (a) (i) ls a portable computer small enough to be used on laps. Converts analog signal to digital signals and vice versa. Most peripheral devices are connected to the computer via USB ports. Supports both power and data transmission. One USB can support 127 devices at a time. (i) Computing budgets - spreadsheets. (ii) Creating documents - word processor. (iii) Designing brochures < DTP. (iv) Records management - Databases/spreadsheet. Advert can be stored for future use. Modiﬁcation of the advert is easy. Ease of design due to tools and template availability advantages/does not require an expert. Can be electronically sent. 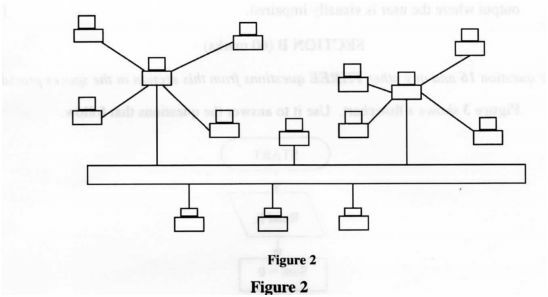 (ii) 2 beneﬁts of Intemet advertising as in ﬁgure 4. Feedback from viewers/ visitors can be received instantly. 19. (a) E-mail: - used to send and receive electronic documents to/from the ofﬁce. Digital camera - Used to capture images in picture form/video conferencing. Firewall - Used to prevent intrusion to the home computer because telecommuting involves connection to the intemet. (b) - Communication systems may fail/communication channel may fail. The document sent may get lost due to sending to wrong address. The documents may be re-used or updated. Malfunctioning of either sending/ receiving computers (failure of DTE). Employer will only pay for work done. The working time is not limited to ofﬁcial working hours/ofﬁce available 24 hours. Employer saves on ofﬁce space. Does not have to pay for commuter allowance. Employer may not require permanent employees. Employer may outsource expert skills that are not available locally. (a) (i) In one‘s complement, a negative number is represented by taking all its bits in the positive number and inverting them. In two's complement, you start with one’s complement but add 1 to the results. In two's complement, there are no two ways of presenting a zero. In one's complement, overﬂow bit is added back to the answer but ignored in two's complement. it is easy to program. uses bi-state devices which can either be ON or OFF. Binary can be used to represent all types of data. 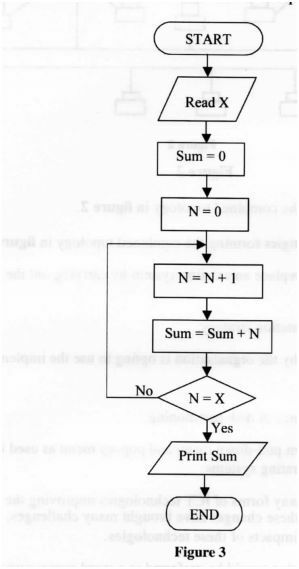 (b) (i) Subtract l 000112 from 0100102 using one’s complement method.